Green Mountain hospitality is world famous! The innkeepers and hotel / resort managers are truly seasoned travel industry professionals. We are proud of our suggested Vermont Innkeepers, Hotel, Motel & Motor Inns, Luxury Resorts and Vacation Rental Lodging Specialists. The pet owner will be astonished at our selection of Vermont Pet Friendly Lodging and if you are looking for a last-minute travel bargain visit our Vermont Packages page. Luxury RV camping or to visit a Vermont State Park or Campsite, check out our suggested Vermont Campgrounds and RV Parks. Landmark Trust USA offers historic vacation home rentals. Invest in Vermont with the help of a reputable Vermont Real Estate Agent. Our suggested Vermont Realtors can help you find the perfect Vermont property, second home, business or real estate investment. 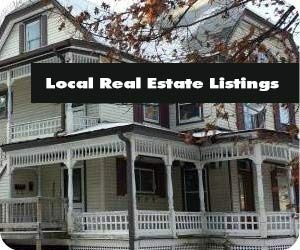 Browse our real estate brokers. Every spring Vermont Maple Producers are boiling sap to make fresh, natural, Vermont Maple Syrup – considered to be the best in the world. 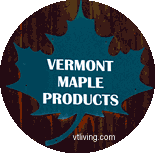 Visit a Vermont Maple Sugarhouse or purchase your Vermont Maple Products online. 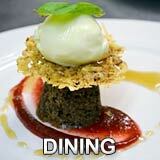 Visit Vermont for chef-owned Farm-to-Table dining. Vermont Local is more than saying here, it’s a way of life. 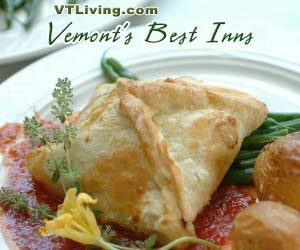 Enjoy wholesome and delicious Vermont Dining from our favorite Vermont restaurants, and casual dining restaurants, brewpubs, bierhalls, pizza restaurants and cafes. Eat local – in Vermont. 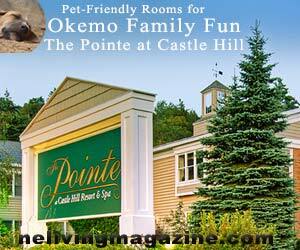 There is a wide variety of one-of-a-kind Vermont attractions to found. From Mountain Slides to Water Parks and famous museums – find out about the many Vermont attractions, museums, activities, historic sites and points of interest. Shop for vintage wear, vintage electronics, antiques, and collectibles in Vermont. 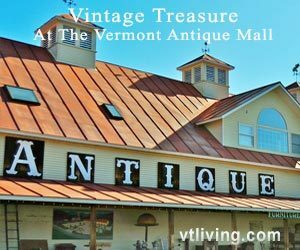 Antique lover worldwide visit Vermont to find one-of-a-kind vintage items for decoration, collection or profit. We found the best Vermont Antique dealers and Antique Malls in the state. 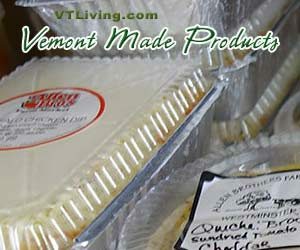 You must bring home some Made in Vermont products like; Apple Butter, Cabot Cheddar, real VT Maple Syrup, Lake Champlain Chocolates, and more. You won’t believe some of the Vermont made items we found, visit our Made in Vermont favorites. This is a good year to Ski the East. Vermont has more than baker’s dozen of ski resorts. Browse Vermont Ski Areas for winter fun. Our selection of Vermont winter resorts will make it easy for you to truly enjoy your Vermont vacation. VT Ski Areas offer downhill and alpine skiing and snowboarding fun. Famous VT Ski Areas include: Mt. Snow, Stratton Mountain, Bromley, Killington, Stowe, Smuggglers’ Notch Resort, Jay Peak, Burke Mountain, Sugarbush, Mad River Glen and others. 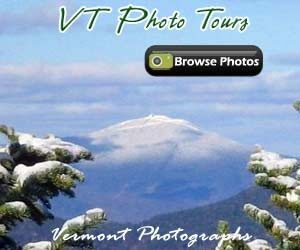 Browse our VT Ski Areas section. VT skating rinks are found in many Vermont towns and villages. Bring the entire family for outdoor winter fun and exercise. Take a walk in the woods – nearly anyone can snowshoe. A snowshoe trail can set the mood for a relaxing Vermont getaway. When the snow reaches three inches or more – then that’s the time to snowshoe. Peak snowshoe months in Vermont are December, January and February. Although, an early or late winter snowstorm can change snowshoe conditions in a New York minute. Try snowshoeing in Vermont. Winter fun in Vermont means a visit to a sensational Vermont museum, a slide down a local sledding hill, a skijorning adventure or day at a Vermont attraction. So where do Vermonter’s do most of their food and grocery shopping? Browse our supermarket section and find out about the most popular Vermont Grocery Stores, Super Stores and Supermarkets. From Adventure Camp to Art Camp – Educational Camps, Music Camps and old-fashioned country camps for every interest may be found in Vermont. 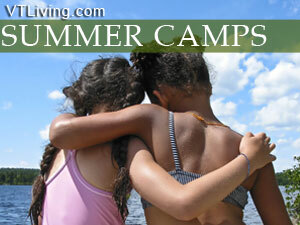 Browse our amazing selection of fantastic Children’s Camps in Vermont. It’s never too early to book this year’s VT summer camp. Visiting Vermont? Contact or visit an official State of Vermont Chamber of Commerce Office and receive free visitor information, attraction brochures, maps and more. Find a local Vermont Chamber of Commerce office near you. When you want to get something done, ask a qualified Vermonter. 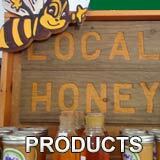 Visit our Vermont Home Improvement and contractors section. There’s plenty of Things-To-Do in Vermont. Browse our suggestions to find Vermont Attractions, Major Events, and Activities for every age and interest. Do you have a question about your Vermont visit? Ask a Vermonter! 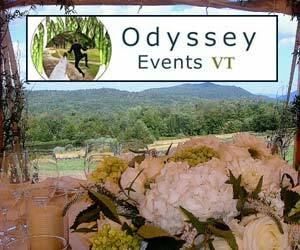 When you want your event catered – leave it to the professional catering services and mobile chefs of Vermont. 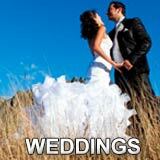 Vermont Caterers provide unsurpassed service for your family gathering, a special event or celebration. 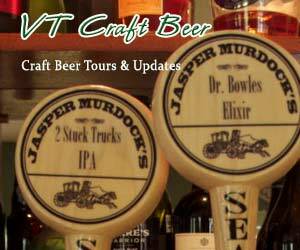 Visit a Vermont brewpub and sample some of the best local brews in the entire world. 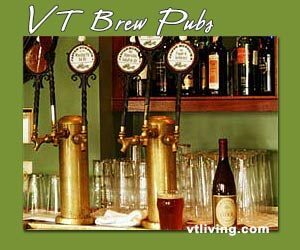 Vermont Brew Pubs may be found in every corner of the state. We are pleased to introduce the best Breweries in Vermont – make them part of your personal Vermont Brewery Tour. Picking a turkey for a special home-cooked dinner? Read our Turkey Buying Tips, Turkey Roasting information and find a Vermont Turkey Producer. Vermont Turkey – a favorite a healthy meal any time of the year. Turkey is high in protein, low in fat and locally produced. Vermont Maple Sugar Houses are smoking this time of year. 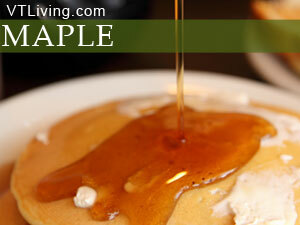 The chance to witness real maple syrup being made only happens in early spring. Make plans to visit the Vermont Maple Festival and a “steaming” VT sugarhouse and try some “sugar on snow“. If you live on a dirt road in Vermont – you’re probably aware of Mud Season. Share your Vermont adventures and read about the “‘tween season” of travel. Caution: Some of your favorite back roads may be challenging at this time of year. Can you handle Vermont Mud Season? Visit a reputable Vermont Auto Dealer for new and used car sales and automotive service. 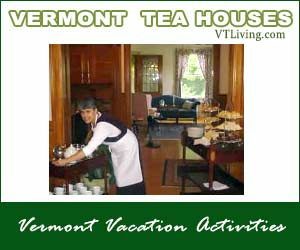 Vermont Living has been giving away lodging packages and free Vermont getaways for decades. There is never a purchase requirement and our New England Travel Giveaways are endless. Enter to win by visiting our Sweepstakes page. VT Fall Foliage time is a very special time in Vermont. The hills are popping with vibrant fall colors and some of the most popular Vermont events of the season are happening in every corner of the state. Fall foliage time is a great time to visit Vermont – but plan ahead to secure our finest accommodations. 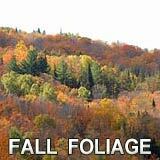 Browse our VT fall foliage section for planning the ideal VT Fall Foliage Vacation. VT Hiking trails and wooded paths don’t have to be strenuous. The Stowe Recreation Path is just one of several family friendly ways to get outdoors. Easy VT hikes and scenic wooded paths the entire family can enjoy are found in every VT region. 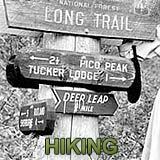 Browse our VT hiking section. Vermont golf courses are just little bit greener here. 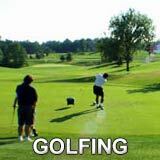 Our selection of private and public golf courses and country clubs will amaze. Planning on a New England Golf Getaway? Consider the Green Mountains of Vermont for beautiful and challenging golf courses – many with sensational dining overlooking the green. 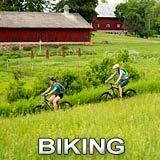 From the famous “Kingdom Trails” of northern Vermont to the rolling hills of the Deerfield – Mount Snow Valley, Vermont offers bicycle paths and mountain biking trails for all. Explore the pedal power of bicycling in Vermont. 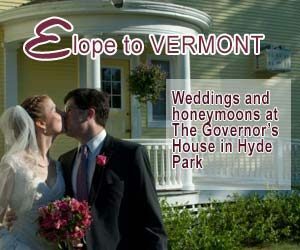 VT Weddings and Hyde Park Elopements. 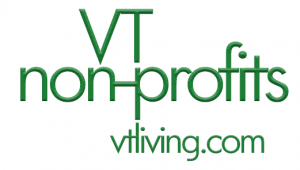 VT LIVING ~ "Vermont's Internet Magazine since 1996"